The NOS(E) Award announced a ten-book short list on November 1 in Krasnoyarsk during public debates at the annual Krasnoyarsk Book Culture Fair. This year’s list seems a bit unusual. For one thing (I’ll go for the personal first! 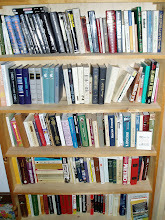 ), it’s unusual that five of the books are already on my shelves. And then seven of them (!) were written by women. Beyond that, it’s particularly unusual that almost all these books sound interesting, stylistically and/or thematically, and that I’ve read and heard so many very complimentary comments about the majority of them. Winners will be announced in late January or early February 2019. Denis Gorelov’s Родина слоников (Motherland of Little Elephants) is a nonfiction collection about Soviet cinema and the Soviet Union itself. Yury Leiderman’s Моабитские хроники (Moabit Chronicles) is set in Moabit, the region of Berlin where Leiderman has his art studio. Ludmilla Petrushevskaya’s Нас украли. История преступлений (Kidnapped. The History of Crimes) is set in the 1980s and 1990s; click on the English language title link for a full summary from Petrushevskaya’s literary agency. Also on my shelf. Viktor Pelevin’s iPhuck 10 is a nice way to finish the list, given that it’s the only title that needs no translation. No matter what it’s about. Edit, March 5, 2019! Hilah Kohen translated Galina Yuzefovich’s reviews of Round, Kalchina-Malechina, and Opens In for this post on Meduza. I later wrote a full post about Round, which is here. Though I wasn’t keen enough on the other two books to finish them -- they simply weren’t my books -- I do understand their appeal. Disclaimers: The usual. I know and/or collaborate with some of the people and entities mentioned in the post. I have received some of these books from various parties. The Mikhail Prokhorov Fund’s grant program – Transcript – for translations from the Russian helps pay my fees. And, thus, my bills. Up Next: English-language reading roundup, a brief Russian-language reading roundup, and Big Book finalists, most of which I’m finding very (okay, extraordinarily!) difficult to read in full, thanks to structural problems, lack of editing, and mission drift. Those problems frequently pile up, creating amorphous, bloated texts. There are far too many books these days (not just written in Russian) that seem to require readers to edit the books in their heads as they attempt to read. It’s especially hard to stick with some of big books of the Big Book when I have so much on my shelves that I can’t wait to try, particularly the Nekrasova and Nemzer titles on this list! The only definition my dictionaries give is 'round' as in a fight, and I found "раунд из баттла" in the text via Google Books. Nekrasova seems to be quoting from Remizov's Посолонь, Лето красное: Калечина-Малечина. Thanks as always for another wonderfully useful roundup! And there we go! Thank you for finding that Remizov reference, Languagehat, that's interesting. In any case, I'm glad you enjoyed this round of NOSE news. This list gives me hope.